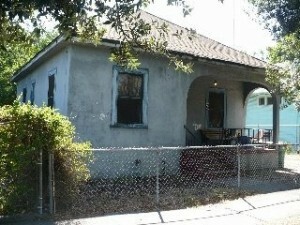 A Case Study S Burkett Ave Stockton: 3 Siblings Inherit Stockton House: Fix & Sell the House or Rent it Out? Houses Don’t Fix Themselves and 90 Year old Houses need a lot of Work. When 3 Siblings Inherit a house in Stockton it’s not always easy to get everyone to agree. That was the case of Burkett Ave Stockton CA. Inheriting any house is fraught with pitfalls especially if the house has years of deferred maintenance and you have very little money to properly address the needs of the house to get it ready for sale or rent. There are so many things that can go wrong on a tight budget and when you add trying to manage the expectations of others into the mix, it becomes very difficult, especially when it comes to family, and no one is on the same page. One of the biggest mistakes family member’s can make when inheriting a house is to make decisions while emotions are running high and no one has thought out the plan of action. Often times when I am talking to families about selling an inherited house the conversation turns to what Mom and Dad would have wanted. More often than not the conversation centers on allowing a family member in need to live in the house, rent free and maintain and repair it, until the rest of the family decides what to do. In theory its a great idea, but in practice, 95% of the time it is disastrous for all family members involved. As a result I have helped many families evict other family members because there was no other way to get them to leave. Let me be clear… Mom and Dad worked hard to have a home that they were proud of. What Mom and Dad would have wanted is the house to remain an asset without becoming a burden on their children. It really is that simple. “After Dad died, the three of us made the funeral arrangements together. It was a very difficult week for me. There was a lot going on and the family dynamic had never really worked very well, so when we found out that the house was to be divided three ways everyone had their own idea what to do. I wanted to sell it, but my older brothers had other ideas including putting thousands of dollars into the house to rent it out. I didn’t have that kind of money and the house needed a lot of work”. The brothers ordered a home inspection just to find out what was wrong and when it came back the basic repairs totaled around $45,000.00. The inspection report detailed foundation and settling issues that appeared as large cracks in the walls and ceilings of most of the rooms. There was no estimate to make these repairs. Without having a commitment from their sister the brothers divvied up the projects and either hired someone or did the work themselves. After spending about $5,000.00 they discovered that additional work would be needed for the plumbing and electrical that they had not anticipated. Overwhelmed they came up with a plan to let one of the nephews that was out of work, move in with his girl friend to watch the place and make other repairs in exchange for rent. Tensions began to rise when within a few months it became clear that the nephew had other ideas about his new home. They adopted 2 pit bulls, rented out one of the bedrooms and stopped all efforts at repairing and maintaining the house. Keep in mind that the house was built in 1925 and the plumbing had never been updated, the electrical panel was old and the one bathroom had dry rot issues from a leaky tub before he moved in. It didn’t take 6 months and the bathroom floor collapsed, the basement was flooded, a sewer pipe burst and the kitchen sink backed up. The house was in a shambles. To make matters worse the yard was strewn with litter and debris, feces from the animals that no one picked up and a collection of automotive parts from bumpers to radiators and hubcaps that were left everywhere. 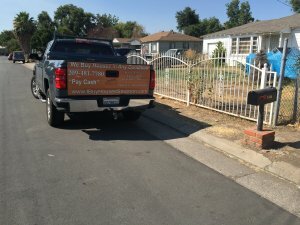 The neighbors complained, the City of Stockton issued code violations that were continually ignored until the City started to levy fines and placed a lien on the property. Enough was enough. They called me. 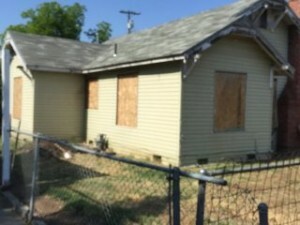 From the first call I knew that at least two of the family members were ready… they were motivated to sell the property in its As-Is Condition. They knew that they had opened a can or worms and that spending anymore money on trying to fix the house was an exercise in futility. The holdout was the father of the son that had occupied the house. He did not want to evict his son and it was determined by the other two that the sale of the house would force the issue. 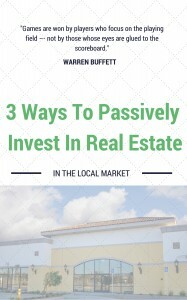 I have a lot of experience with this and I can say for certain… The Sale of a House is the Best way to get someone out. I met with all three of them to make an all cash offer based on the vacancy of the house. I outlined my plan which included starting an Unlawful Detainer (Eviction) against the son. In my plan I offered to pay for and execute the eviction as part of the purchase but delayed the closing until the eviction was complete or the house was vacant whatever came first. I also offered the son cash for keys which was the equivalent of the cost of eviction. He accepted the offer and he moved out within a 10 day period. Problem solved. The ability to go in as a third party with no emotional ties allowed the family to separate themselves from the Eviction Process and avoid a huge family dispute. I was the bad guy. 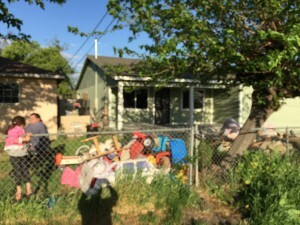 With the San Joaquin County Code Enforcement already demanding a massive cleanup and a plan for securing the property as well as the required repairs we immediately called for a meeting to negotiate our options. The first objective was to negotiate a time table in which the city would satisfied without levying any new fines and penalties. Our strategy was simple we committed to having plans for a clean up and remodel submitted within one week of the purchase. 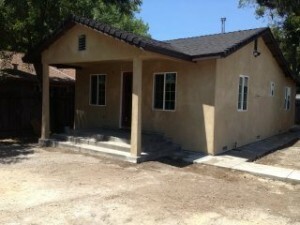 We also committed to completing the project with in 45 days of building plan approval. In talking to our customers it is clear to me that becoming a landlord is less a decision based on an opportunity than it is of one of with considerable planning. Older homes present many challenges as it is very difficult to determine the source of many house problems unless you can first gut the house. As a result, the hidden problems are revealed and unless you are prepared to deal with cost of fixing the entire house, fixing one or two things on a long list is just going to kick the problem down the road. 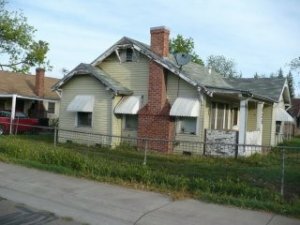 Our plan allowed the family to get fair market value for the home in Stockton minus the cost of repairs and wash their hands of the ongoing liability with the City of Stockton’s Code Enforcement department and more code violations. 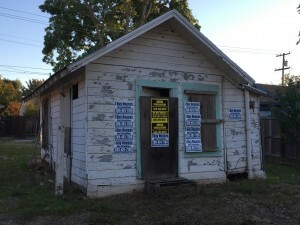 While the thought of renting out the house and pocketing a few hundred dollars each a month may have looked attractive at first, the family soon realized that the rent would never cover the cost of the ongoing and overall repairs, combined with the cost of homeowners insurance and property taxes. 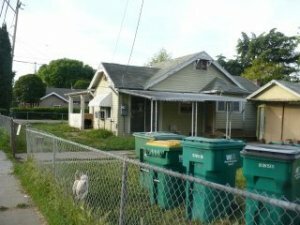 They saw that they were better selling their Stockton home for cash and splitting the equity they received from the house to individually do with what they pleased. 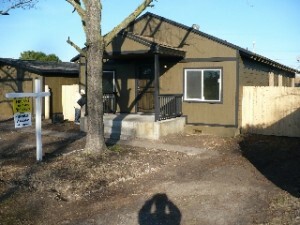 We made an all cash offer for the house and took care of all of the paperwork. 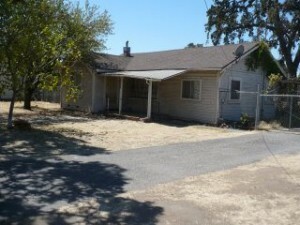 My name is Peter Westbrook and I am a local real estate investor in Stockton, Sacramento, Manteca and Modesto, CA. 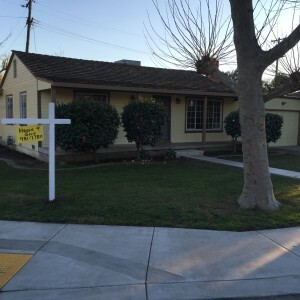 We Buy houses that are ugly in Stockton, Sacramento and Modesto. 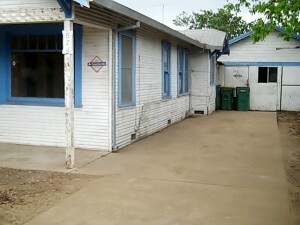 We love the challenge of houses in any condition and we pay cash. 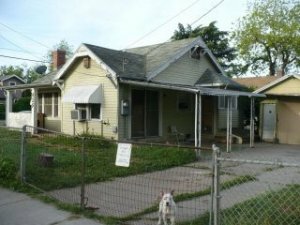 If you own a house that has had years of deferred maintenance and you’re tired of the ongoing cost of ownership call me at (209)481-7780 or visit my website at http://www.IBuyHousesStockton.com and let me make you an all cash offer.